Normal urine color ranges in shades of yellow, so most of the time there is little or no reason to worry if your urine looks lighter, brighter, or darker yellow during pregnancy. The change might just be due to your prenatal vitamins, foods you eat, or not drinking enough fluids. If you have urinary tract symptoms with darker or cloudy urine that concern you, contact your obstetrician or midwife for further advice. 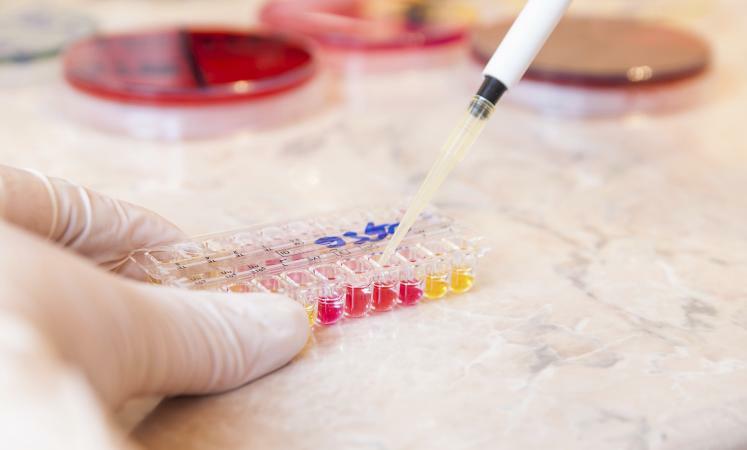 Does the Color of Urine Change in Pregnancy? The color of urine in healthy, hydrated people can range from pale straw-colored, transparent, to darker yellow, according to the Cleveland Clinic. During pregnancy, a more intense brighter to darker yellow urine color is not unusual. With all the normal physiological changes in your body chemistry, metabolism, blood volume, fluid balance, and kidney function in pregnancy, it is no surprise you might notice a change in the yellow of your urine. Other changes you make as a result of your pregnancy can also affect your urine color. The pigment urochrome (urobilin) - a breakdown product of hemoglobin from your dead red blood cells - gives urine its normal range of shades of yellow in and out of pregnancy. The shade depends on the urochrome concentration. Consider also that you might have a urinary tract infection if your urine is deep yellow or darker and has an odor. Based on a University of California San Diego summary, if your urine is dark yellow, amber colored, light orange, or brown, you are likely not drinking enough fluids. Inadequate hydration causes your body to hang on to water, and less of it filters through your kidneys to your urine. This increases the urochrome concentration and makes your urine look dark yellow or darker. The more dehydrated you are, the darker your urine becomes. It is easier to get dehydrated during pregnancy because there is a big demand on your body for fluids to keep your circulating fluid volume and metabolism normal. Pay attention to drinking enough water or unsweetened drinks each day to stay hydrated, and you will note your urine will become a lighter yellow. If it doesn't, speak with your doctor. Doctors recommend prenatal vitamins and iron for all pregnant women. If you are sticking with the plan and notice bright yellow urine, chances are it is because of your prenatal vitamins. The excess water soluble C and B vitamins that your body can't absorb are excreted in your urine, and the pigments in the vitamins will change your urine color to a brighter yellow. According to Harvard Health Publications, B vitamins can turn urine to a "fluorescent yellow-green." You will notice this within a few hours of taking the vitamins. If you are obeying the advice to eat more fruits and vegetables during pregnancy - which you should - you might notice a change in your urine color. Pigments in certain foods or food colorings can change the color of your urine from light yellow to a brighter or darker shade. The Harvard Health Publications reference above notes carrots and carrot juice can turn your urine orange. Sweet potato can do the same thing. Other foods, such as asparagus or beets, can change it to other colors. 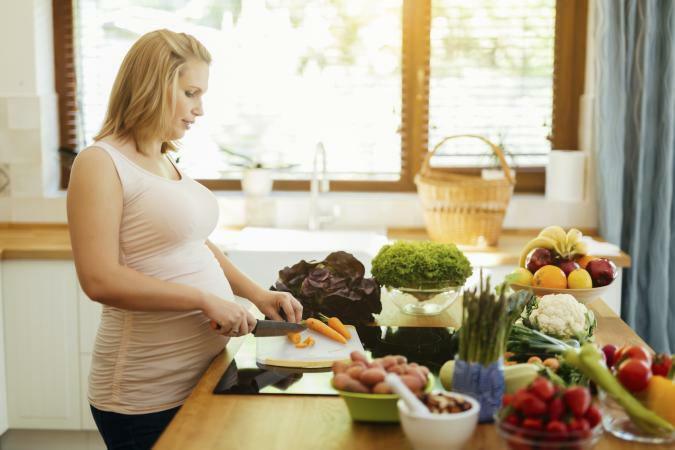 This is all normal and should not cause you any distress or reason to cut back on your fruits and veggies, which are important foods in your pregnancy diet. Pyridium: Used to relieve the symptoms of a bladder infection, it can turn your urine orange or yellowish orange. Nitrofurantoin: Used to treat a bladder infection, this can also turn your urine to orange. Senna laxatives: Over-the-counter senna-containing herbal laxatives you might take to relief the common problem of constipation during pregnancy can turn your urine to orange yellow. Urinary tract infections (UTIs) and asymptomatic bacteria ( bacteriuria) in the urinary tract are more common conditions in pregnancy. These conditions can turn your urine dark yellow, amber, or brown, as well as cloudy, as noted by the cited Harvard Health Publications above. UTIs and bacteriuria can cause poor pregnancy outcomes, such as premature labor or premature rupture of membranes. If your urine gets dark, cloudy, has an odor, and you have burning or pain, it's time to consult with your prenatal care provider. Liver disease can cause darker urine, often accompanied by light-colored stools and yellow (jaundiced) eyes, according to information from the Mayo Clinic. In addition, other medical problems can change your urine to other colors, such as red or pink, or green, or blue. Consult your doctor if this happens. Changes in the shade of the yellow color of your urine during pregnancy is rarely a cause to worry. However, don't hesitate to express your concerns to your prenatal care specialists. In between your prenatal care visits, feel free to call your providers for advice about your urine color, any urinary symptoms, or any other problems.